Digital Marketing Course in Hyderabad – At Digital Floats, we offer a complete Digital Marketing Certification course that is perfect for students and working professionals alike. We cater to our students with a number of modules in place to prepare them for the needs and wants of the digital marketing field. Using the Internet and the rising prevalence of mobile devices, we aim to improve the employment rates in our country. 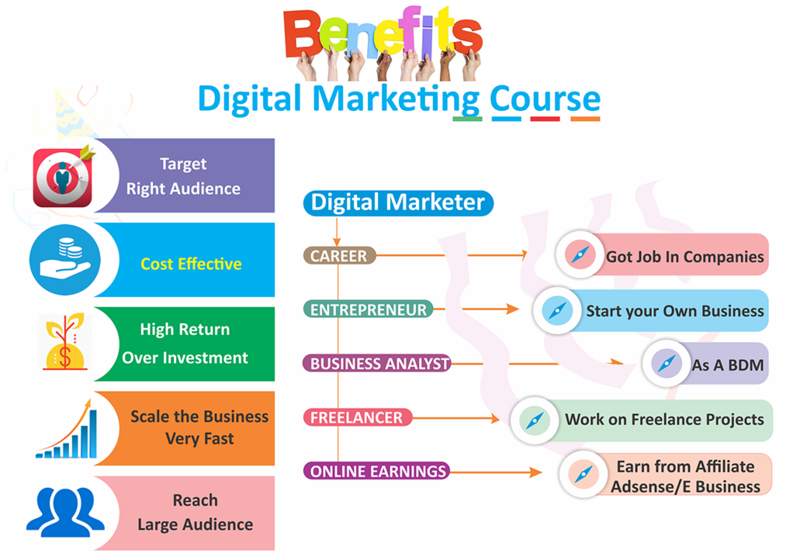 Are You Looking For Digital Marketing Course in Hyderabad? Claimed to be one of the Best training institutes in Hyderabad, Digital Floats aspires to be a pioneer in the world of digital marketing. We operate regular and online training sessions all over Andhra Pradesh, Telangana and all over India, with our own Head Office at Hyderabad itself for your convenience. We have practised experience of more than ten years in the digital marketing industry, and have trained more than 10,000 students. Our dedicated faculty has maintained a total hundred percent placement track till date, and don’t intend to disappoint us. Our students have gone far and wide in cracking several examinations and job interviews, and nearly all of them now hold high-paying posts in well-known companies in the big cities of India. We follow a syllabus that has been designed after consultation with experts in a Digital Marketing Course and have a systematic approach from the beginner’s level to a more advanced study. Our courses are taken by experienced instructors who have worked in reputed online marketing companies or advertisement agencies, to give our students wholesome practical knowledge. 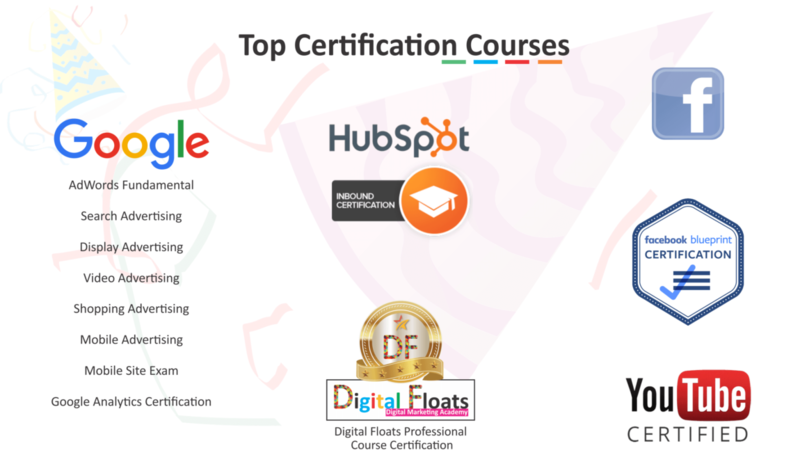 On finishing the course successfully, you will receive a Digital Marketing Course Certification. We hold regular and online counseling sessions on weekdays and weekends for you to choose your timetable as per your convenience. Read through our prospectus, and join us to make a better career for yourself. Having more than 12 years of experience in Digital Marketing. 10+ Years of Experience in Real Time industry. Training on live projects and assignments. Our professors take regular or online training sessions for our students and have twelve years of experience in teaching digital marketing course. They have been chosen not just for their educational degrees, but their personality, innovative teaching methods, and practical knowledge. We teach our students with a blend of theory and practical learning, with assignments and projects for evaluation. Students can access the laboratory as per their need for practice, and the lab assistants would be glad to assist them. In the end, students will have to appear for a real-time internship to receive their certification. Digital Marketing is a general term for the marketing of goods and services, which uses digital channels to attract and retain customers. 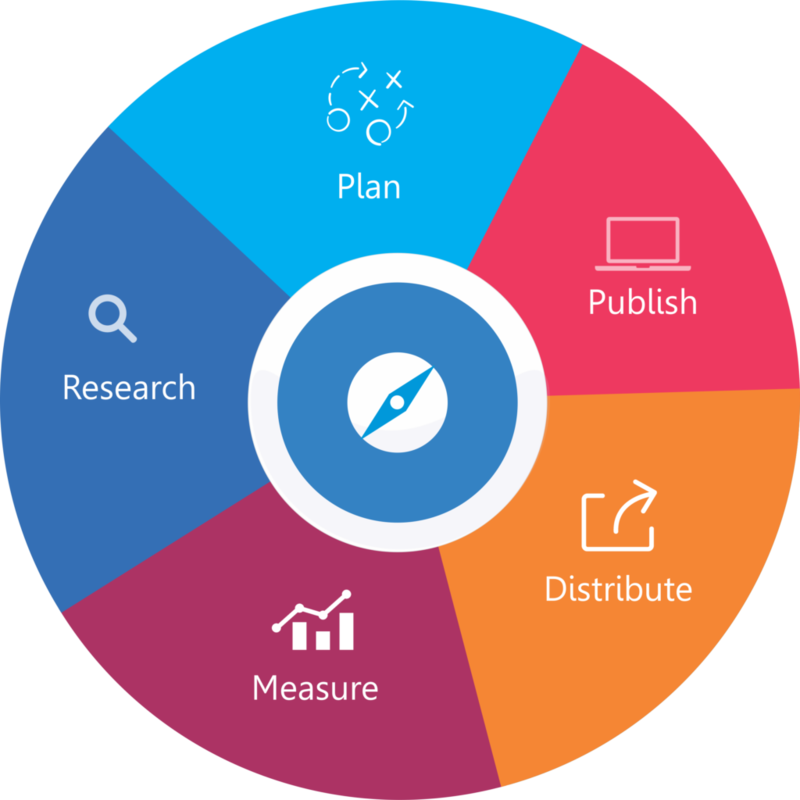 Digital marketing is building a digital brand through, PPC, SMM, Google Adsense, Google Analytics, E-Mail, Mobile Marketing etc. 2) Do you provide Live Project with Training? Yes, Digital Floats provides the live project with its training. A comprehensive training program is designed for everyone who plans to work on Internet marketing or already has a little experience. The training systematizes and deepens knowledge in all segments of Digital Marketing, developing practical skills and teaches the correct formulation of tasks. You will learn to creates and implement a comprehensive strategy in online marketing. 3) What would be the salary for a digital marketing professional? Customer behavior and their choices have taken a turn in 3-5 years. Companies have been shifted to digital marketing from traditional marketing. A fresher may get around 15000 per month and with experience and creativity, one can expect a 20% increase every year in the current scenario. 4) What are the differences between your courses and that of other institutes? We can guarantee an advanced course with the most detailed curriculum. The tools, techniques, and skills taught by Digital Floats are latest in the market. We provide workshops every weekend, Google certifications etc to enhance student skills. Our live projects are executed in real time and will give you practical knowledge. Students are welcome to clarify their doubt by communicating with a trainer, interns, management and present students. 5) Who can join the Digital Marketing Course in Hyderabad? Digital Marketing Course in Hyderabad is not limited to any educational background or technical knowledge. Anyone with little interest in the Internet and creative mind can join this course. This is not a technical field that requires prior coding or configuration knowledge. This course is related to the tools and techniques required and used for internet marketing. 6) Can I start my own business after doing this course? Any business without online presence may not give results and to reach wider audience Digital marketing is needed. After course, either one can make its business to debut on the web or expand the online presence of its business. Working as a freelancer is another thing, which is more like a self-employment scheme.